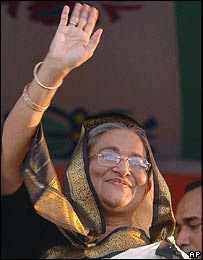 Sheikh Hasina Wajed is a Bangladeshi politician and current Prime Minister of Bangladesh. 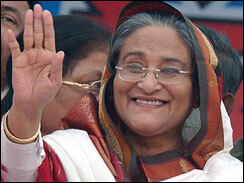 She has been the President of the Awami League, a major political party, since 1981. She is the eldest of five children of Sheikh Mujibur Rahman, the founding father (and first president) of Bangladesh and widow of a reputed nuclear scientist, M. A. Wazed Miah. 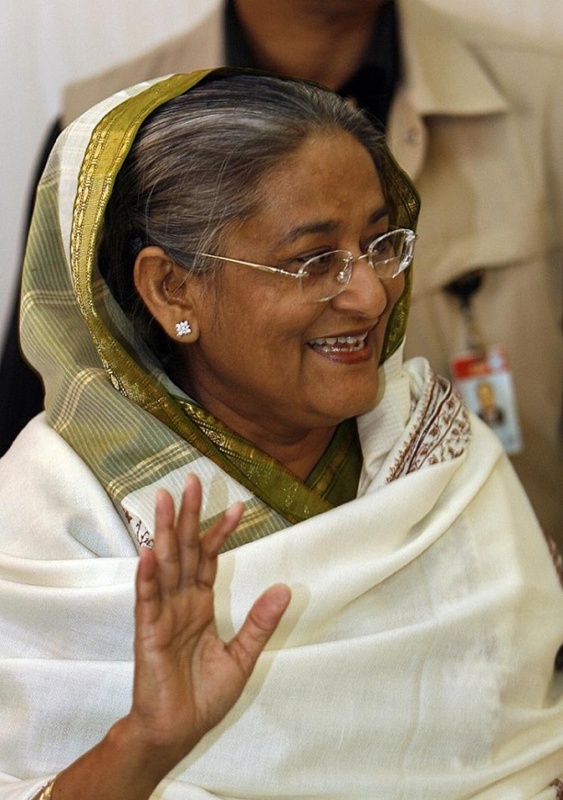 Sheikh Hasina's party defeated the BNP-led Four-Party Alliance in the 2008 parliamentary elections, thus assuring her of the post of prime minister. 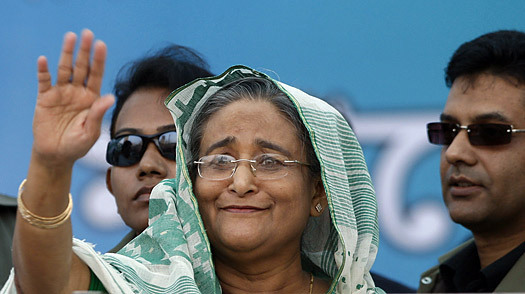 Sheikh Hasina has once before held the office, from 1996 to 2001.
on clearer pictures ( that I have seen elsewhere) you will notice she has quite a strong sunline...and even in these pictures her relatively long sun finger ( relative ot index) is obvious. There is a difference between low set and short. Can you explain me the difference between Low set and High Set,Because i don't have such an information regard to this topic. Even i have the same doubt..Whats the difference between low set and short pinky finger? In some of the photos it looks like she has a pulled tendon or little finger is double jointed as it tends to look 'buckled' or bent oddly at the joints. In the image above, if you measure the length of the little finger and compare it to the ring, you will see it would come to a space above the top joint of the ring. It appears short because the area that it sits on, on the palm, is low set. i am sharing a Picture of my hand just for example, In this picture the pinky little finger is also Low set? The pinkie is more or less okay set - on the lower side - and length is normal. I notice that you have a mole on palm. Can you send me your DOB etc. thru PM ? I am collecting some palm images with known DOB to cross-check a theory I came across.